Make Your own New Year's Crown! Now that my son is 4, I feel like he's starting to really get into the holidays. This year he was so excited to participate in our Christmas traditions, like setting up the tree, checking out the Christmas lights, and setting up the Nativity. Now that we're prepping for 2016, I've been trying to explain to him all the fun traditions that go along with ringing in the New Year. I purchased a couple of party horns, blowers, and noisemakers from our super market and we sat down and made our very own New Year's Crowns together. 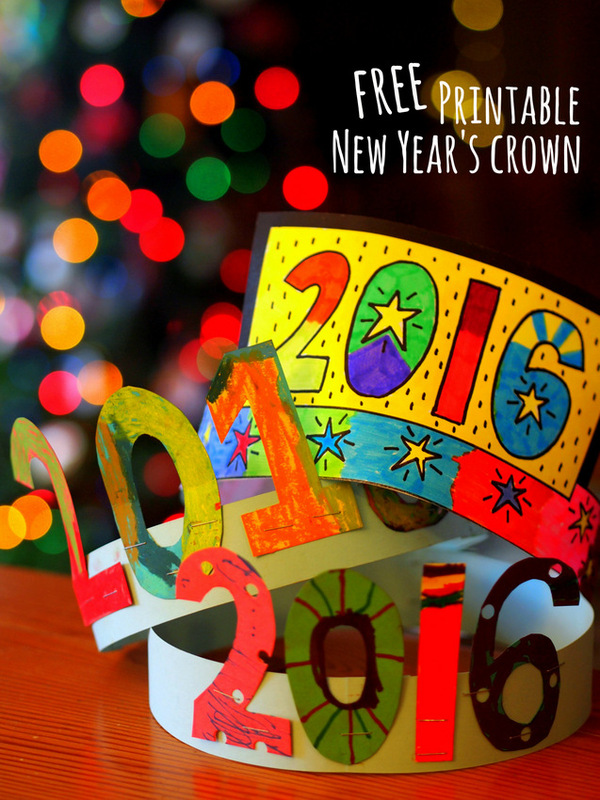 Or..... if you don't want to design your own, print out my free New Year's 2019 Crown Printable. Then color it in, cut it out, and staple it for an easy New Years Craft! These cute crowns would look great with these cute DIY New Year's Horn Photo Props! Happy making and celebrating friends!